Umbite: Mineral information, data and localities. Named after the Lake Umb, 20km east of the occurrence. 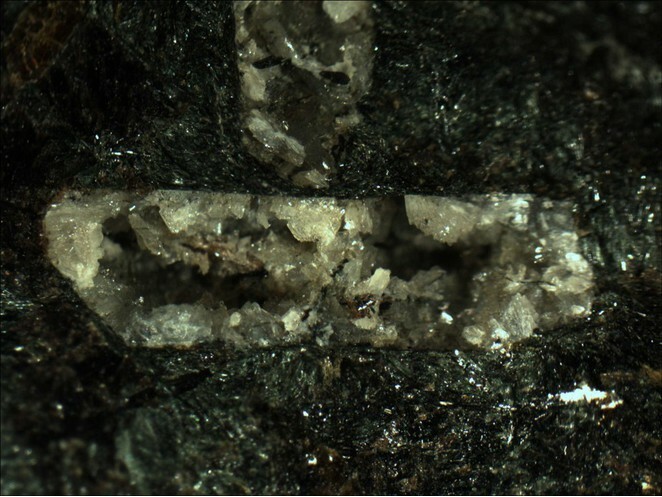 The Zr analogue of kamenevite. Villiaumite 1 photo of Umbite associated with Villiaumite on mindat.org. 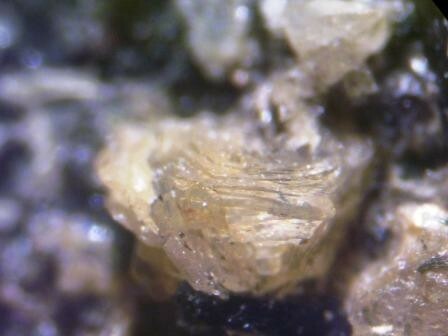 Djerfisherite 1 photo of Umbite associated with Djerfisherite on mindat.org. Ilmenite 1 photo of Umbite associated with Ilmenite on mindat.org. 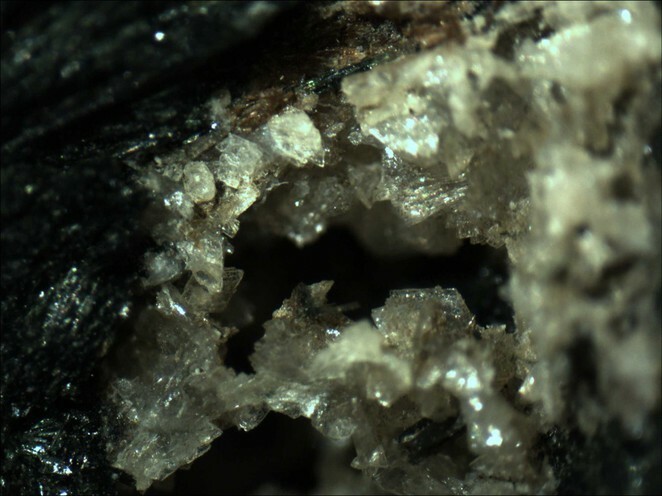 Aegirine 1 photo of Umbite associated with Aegirine on mindat.org. Microcline 1 photo of Umbite associated with Microcline on mindat.org. Nepheline 1 photo of Umbite associated with Nepheline on mindat.org. 59.2.1.2 Paraumbite K3Zr2H(Si3O9)2 · nH2O Orth. Zapiski Vserossiyskogo Mineralogicheskogo Obshchestva (1983): 112: 461-469. American Mineralogist (1984): 69: 813-814. European Journal of Solid State Inorganic Chemistry: 34: 381-390. Pekov, I.V., Chukanov, N.V., Kononkova, N.N., Zubkova, N.V., Rabadanov, M.K., and Pushcharovsky, D.Y. (2008): Geology of Ore Deposits 50(8), 749-754.; 33 IGC excursion No 47, July 22 – August 2, 2008 Stop 2-2; Khomyakov, A. P., Nechelyustov, G. N., Sokolova, E., Bonaccorsi, E., Merlino, S., & Pasero, M. (2002). Megakalsilite, a new polymorph of KAlSiO4 from the Khibina alkaline massif, Kola peninsula, Russia: Mineral description and crystal structure. The Canadian Mineralogist, 40(3), 961-970. Takai, Y., Uehara, S., Inoo, T. (2011) Minerals from Khibiny, Kola, Russia. Chigaku Kenkyu, 60 (1), 41-46.